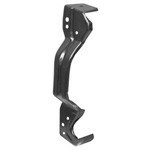 This stamped steel metal bracket goes on the center of your trucks grille and mounts grille to grille shell. 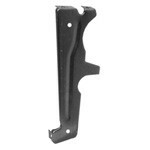 Metal bracket used to secure the bottom of the radiator to the radiator support, does not include mounting pad. Sold as each, required 2 lower per truck. 1967-72 Chevy & GMC Truck Radiator Fan Shroud, Small Block V8, 2WD W/AC. Depth of shroud is 5". 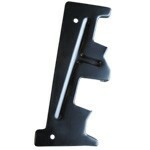 Metal bracket used to secure the top of the radiator to the radiator support, does not include mounting pad. Sold as each, required 2 upper per truck. 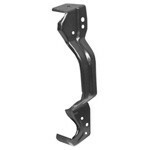 This stamped steel metal bracket goes on the left side of your trucks grille and mounts grille to grille shell.